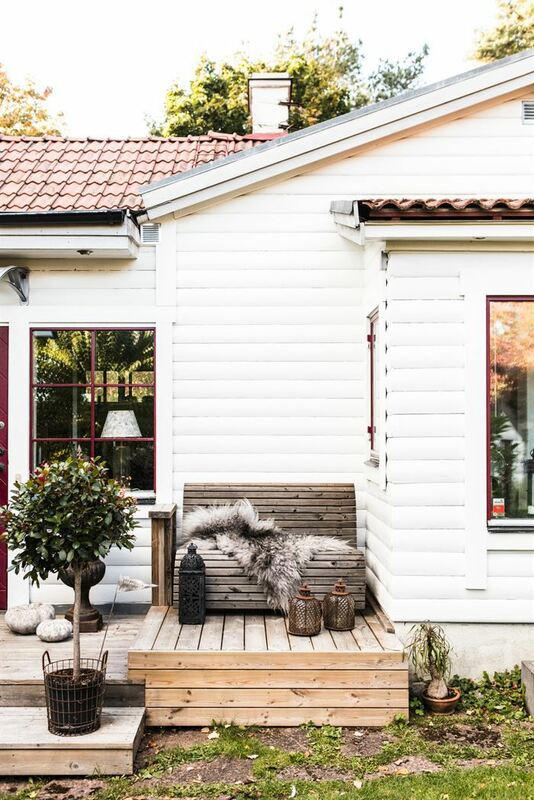 Questa bella casa nella campagna fuori Stoccolma coniuga un mix di stili che giocano sul bicolor bianco e nero e il fascino del legno, del recupero di materiali e della tranquillità della natura. 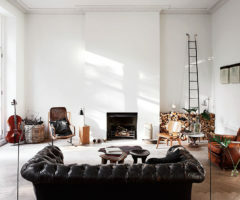 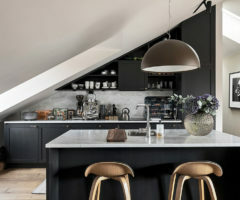 Una vera passione per New York trapela dalle atmosfere urban delle decorazioni, partendo dai quadri alle pareti per passare dalle lampadine basic fino alle sedute molto industrial style che pendono direttamente dal soffitto, e che danno l’impressione di essere in un loft a Manhattan. 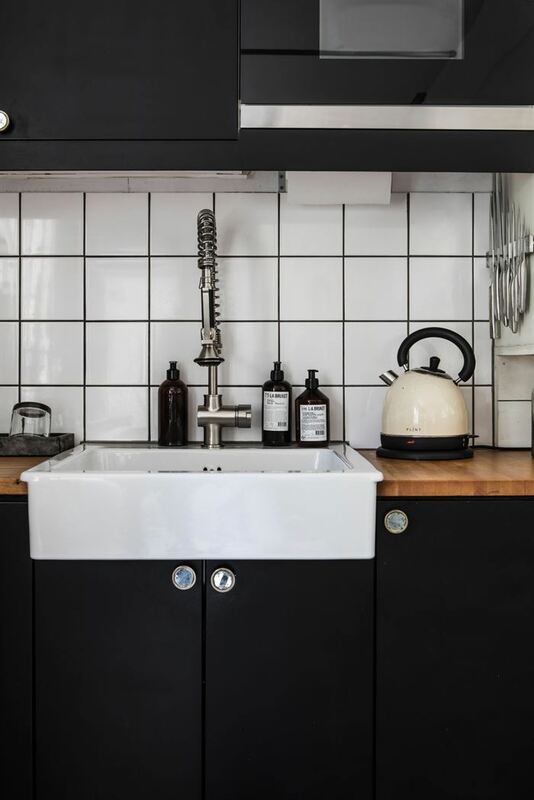 Tanti mobili in legno, cassettiere e tavolini da materiali di recupero e vetrine finte negligé per un risultato molto newyorkese, potenziato dal perfetto abbinamento con il black&white. 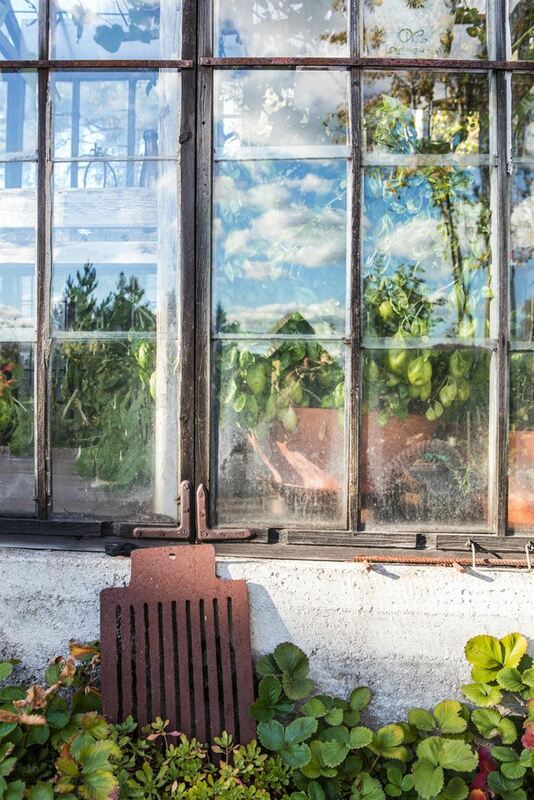 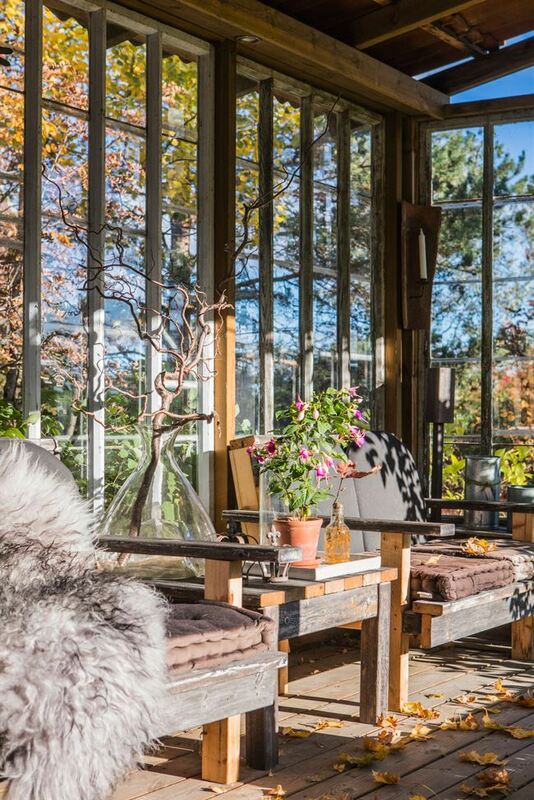 Impeccabile la cucina, curata nei minimi dettagli, e di carattere anche l’esterno che dà sul giardino, con tante sedute confortevoli e lanterne e vasi che arricchiscono e riscaldano l’atmosfera. 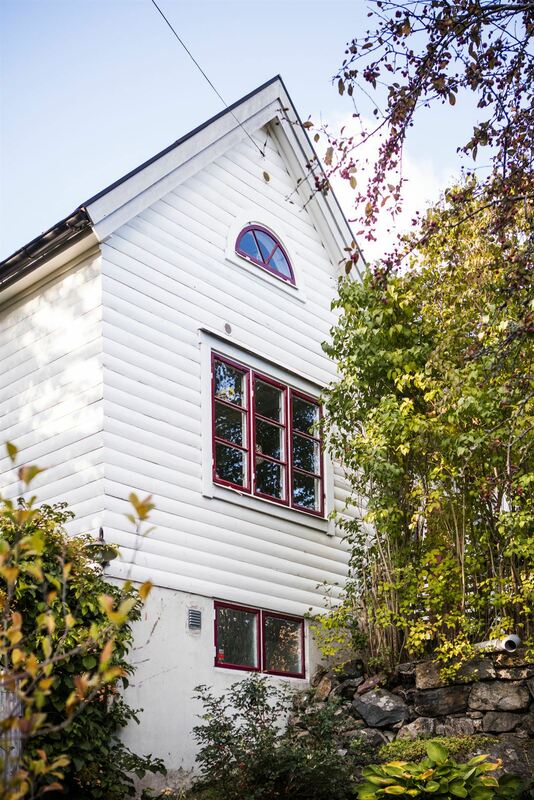 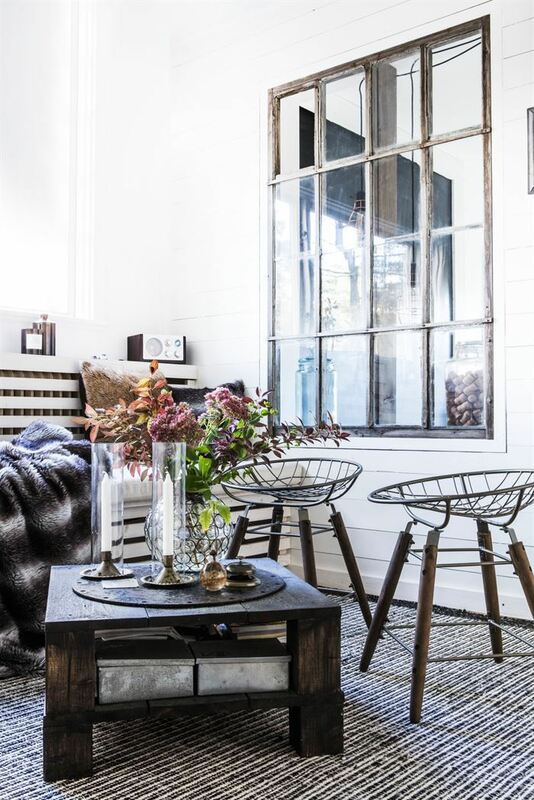 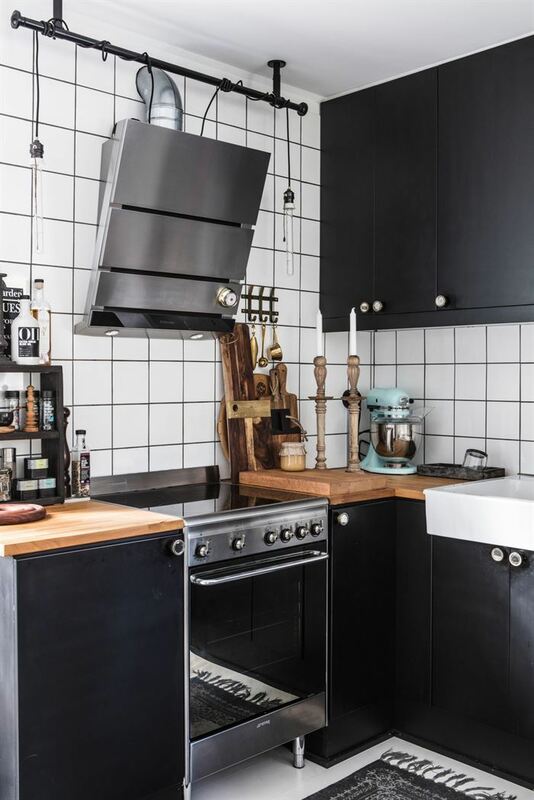 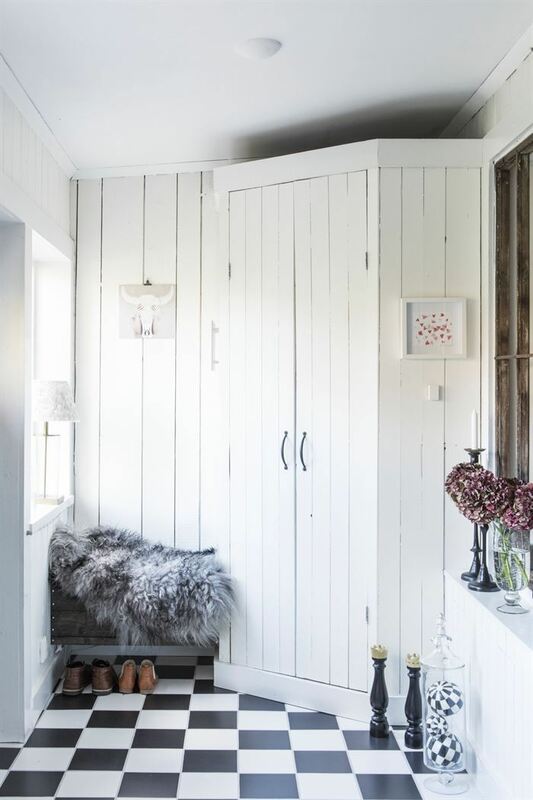 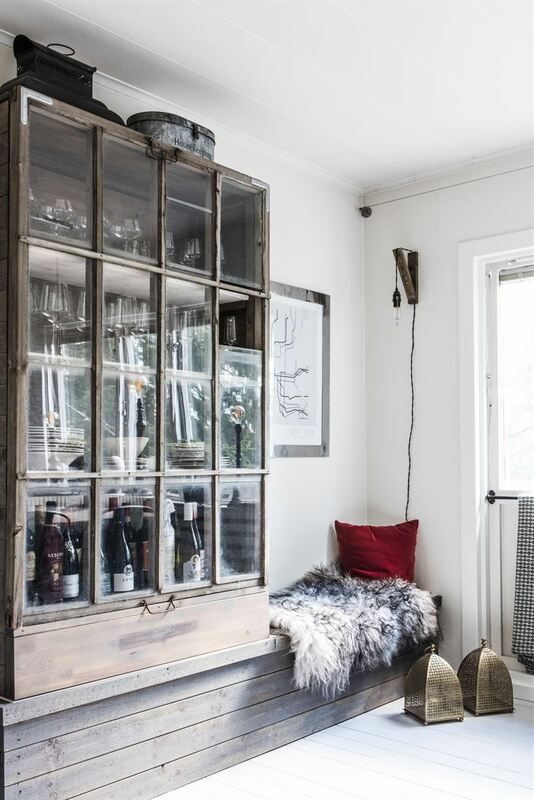 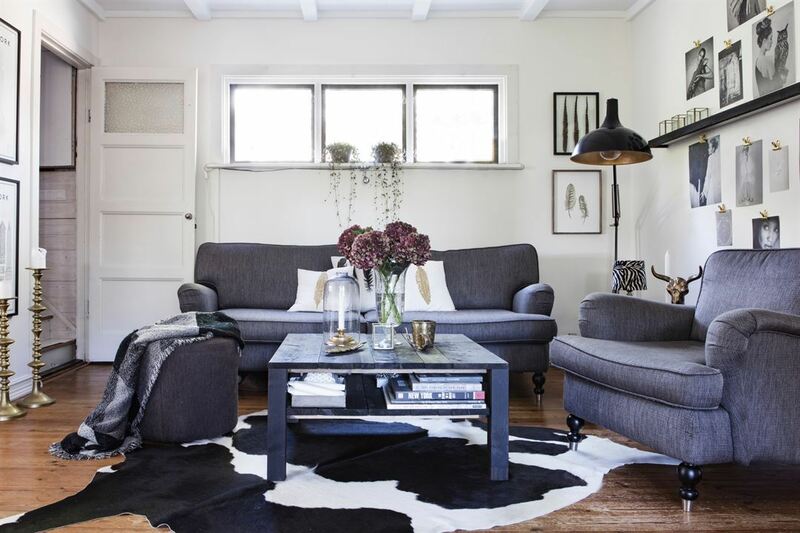 This lovely home in the countryside outside of Stockholm brings together a mix of styles that play with black & white colors and the charm of wood, of recycled materials and of the serenity of nature. 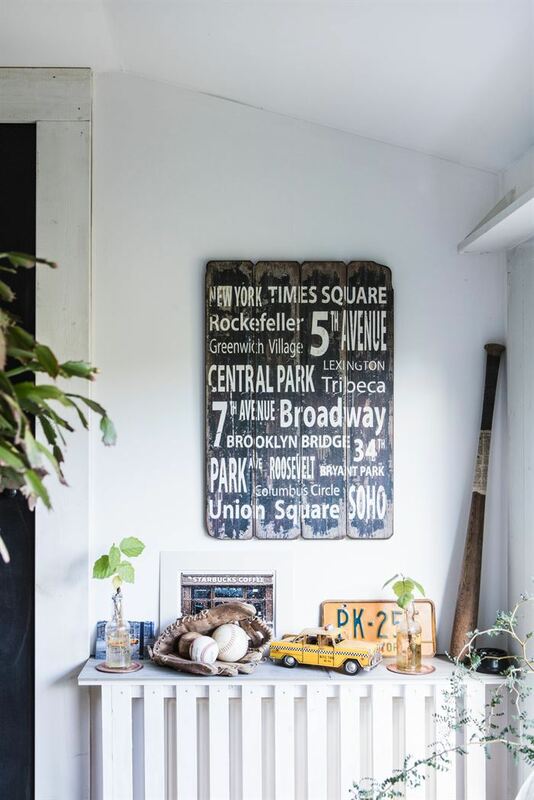 A true passion for New York seeps through the urban vibe of the decorations, starting with the wall paintings and moving forward with the basic lamps until the super industrial-style chairs that hang directly from the ceiling and give the impression that you’re in a Manhattan loft. 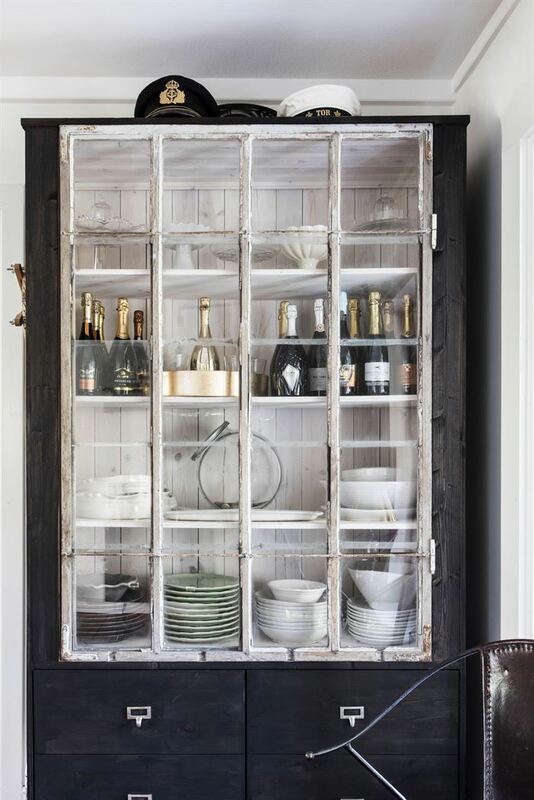 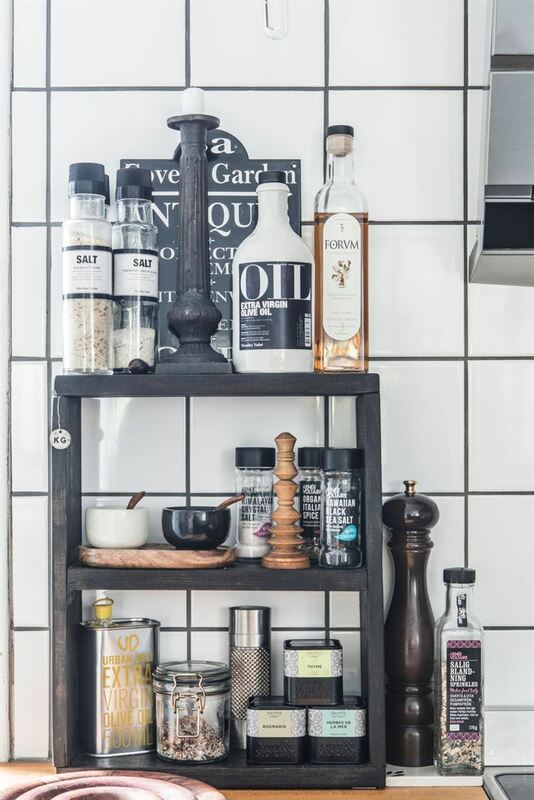 Lots of wooden furniture, dressers and small tables made of recycled materials and imitation neglected show cabinets make for a very New York style, reinforced by the perfect combination of black and white. 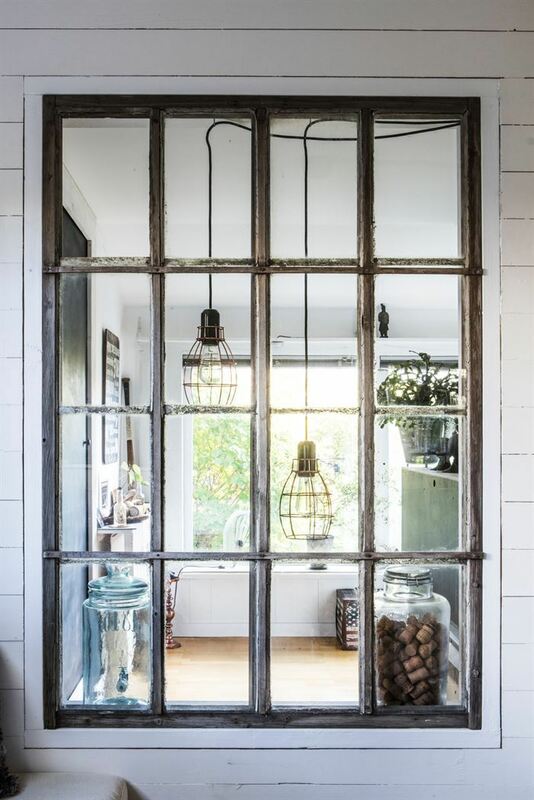 The kitchen is impeccable, with great attention to detail, and even the exterior that overlooks the garden has character with lots of comfortable seats, lanterns and vases that enrich and warm up the space.